Minimum quantity for "18 piece tray jigsaw puzzle" is 100. 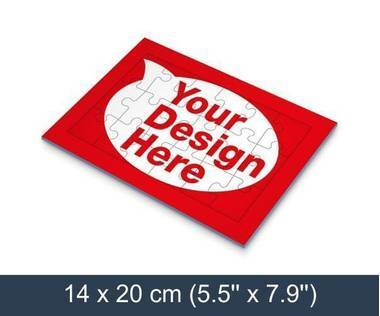 Making tray puzzles a part of your marketing campaign is an exciting way to captivate supporters and new clients. They are sure to take notice and remember what you have to say. Your marketing message can be printed on one or both sides of the puzzle and because we wrap them in shrink wrap, your special message will be seen. Top quality tray puzzles are guaranteed to make your campaign a memorable one.